How to register as a member ( Manual / Online ). First decide whether you have the qualifications to apply for our membership. If you don’t have the qualifications you must have a guardian with above qualifications who can take the responsibility of maintaining your membership. Take that decision first. Fill your application form in English block capital letters. Please do not keep any unfilled spaces. Meet your family doctor to get filled your health in formation summary. N.B:- Before meeting your family doctor you must read the provided “ self-health assessment guideline” please mark (>< ) symptoms & risk factors you have .Then meet your family doctor, discuss about the symptoms & risk factor you marked. Then your doctor will create a nice complete health information summary. 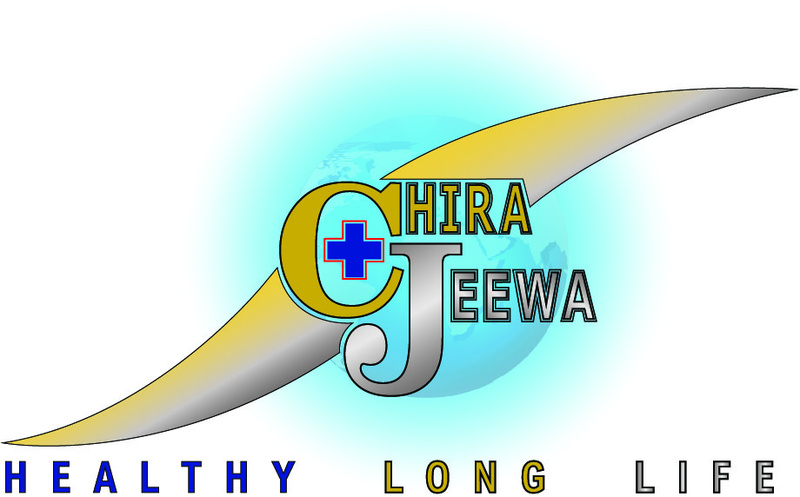 This method will address your all, even minor risk factors which can be a major health problem in near future. After getting the membership you must do this once in a month, which is the active participation part of the member. 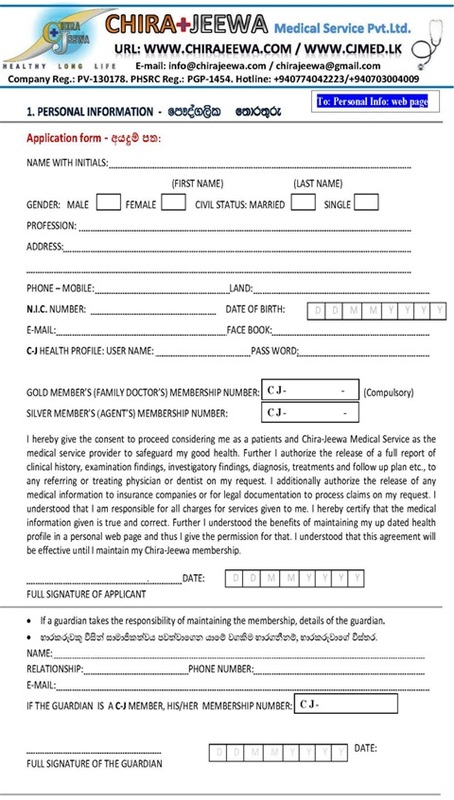 Please attach past medical records (copies) to prove the facts & information in your health in formation summary. Please get your family doctor’s support to select most important & relevant records .These may include past diagnosis cards, important laboratory reports, dental records etc. To prove your blood groups a lab- test report is essential. Please submit dully filled application form & other records to one of our regional center. Your registration will be completed & you will receive a membership number after paying relevant membership registration fees. For online registrations: please follow the instruction given by your computer (our web site) as follows. සමාජිකයෙකු ලෙස ඔබ ලියාපදිංචි වන්නේ කෙසේද? ඔබ පහත සඳහන් පියවර කිහිපය ඒ සඳහා පිලිවෙලින් අනුගමනය කළ යුතුය. 1)චිර-ජිව සාමාජිකත්වය ගැනිමට තමා තුළ සුදුසුකම් ඇතිද යන්න පළමුව නිගමනය කරන්න.එසේ සුදුසුකම් නොමැතිනම් තමාගේ සාමාජිකත්වය පවත්වා ගෙන යාමේ වගකීම භාරගත හැකි භාරකරුවෙකු තමාට ඇතිද යන්න සොයා බලන්න. තමා හෝ තමාගේ භාරකරුවා පළමුව එම තිරණය ගත යුතුය. 2)අයදුම් පත පැහැදිලි ඉංග්‍රීසි අකුරින් පමණක් (ENGLISH-BLOCK CAPITALS) පුරවන්න. එසි කිසිදු තොරතුරක් හිස්ව නොතබන්න.මේ සඳහා භාරකරුවාගේ උදව් /උපදෙස් ලබාගන්න. 3)සෞඛ්‍ය තොරතුරු මාසික සාරංශය(Health Information Monthly Summary)ලෙස ඔබට සපයා ඇති පෝරමය සුදුසුකම් ලත් වෛද්‍යවරයෙකු ලවා පුරවා සහතික කරවාගන්න. ඔබගේ පවුලේ වෛද්‍යවරයා හමුවී සෞඛ්‍ය තොරතුරු සාරංශය පිරවීමට පෙර ඔබට සිදුකිරීමට යමක් ඇත.එනම් සපයා ඇති සෞඛ්‍ය ස්වයං අධ්‍යන මාර්ගෝපදේශය හොදින් කියවීමයි.එහි සඳහන් රෝග ලක්ෂණ හෝ අවධානම් තත්ත්ව තමාම ළකුණු කරන්න. ඉන් පසුව එම රෝග තත්ත්ව සහ අවධානම් තත්ත්ව පිලිබඳව ඔබගේ පවුලේ වෛද්‍යවරයා සමඟ සාකච්ජා කිරීමෙන් පසුව මෙම සෞඛ්‍ය සාරංශය පුරවන්න. එවිට වෛද්‍යවරයාට මගහැරීමට හෝ අතපසුවිමට ඉඩ ඇති සෞඛ්‍ය ගැටළු සියල්ල ගැන අවධානය යොමු කිරීමට හැකි වනු ඇත. චිර-ජීව වෛද්‍ය සේවයේ විශේෂත්වය එයයි. ඔබ ලියාපදිංචි වු පසු මාසිකව මෙය සිදු කළ යුතුය. 4)එහි ඇති තෙරතුරු සනාථ කීරීම සඳහා වැදගත් වන පැරණි වෛද්‍ය වාර්ථා වලින් වඩාත්ම වැදගත් වාර්ථා අමුණන්න. මෙම වෛද්‍ය වාර්ථා අතරට ඔබගේ පැරණි රෝග විනිශ්චය කාඩ්පත් වැදගත් පරීක්ෂණ වාර්ථා හෝ විශේෂඥ වෛද්‍ය වරුන්ගේ නිර්දේශ වාර්ථා ආදිය ඇමිණිය යුතුය. අනවශ්‍ය සහ නොවැදගත් වාර්ථා ඇමිණිම අලවා ගැනිමට මේ වෙනුවෙන් ඔබගේ පවුලේ වෛද්‍යවරයාගේ උපදෙස් ලබාගන්න. ඔසු /ඇය ඔබට ඒය තෝරා බේරා ගැනීමට උදව් කරාවි. රුධිර කාණ්ඩය (Blood group) සනාථ කිරීමට රසායනාගාර වර්ථාවක් අත්‍යවශයයි. 5)මෙසේ සම්පුර්ණ කළ අයදුම් පත සහ සෞඛ්‍ය තෝරතුරු සාරංශය සමඟ අ‍නෙකුත් වාර්ථා පිටපත් අපගේ කාර්යාලය වෙත පැමින බාර දිය යුතුය.අදාල ගාස්තු ගෙවීමෙන් පසු ඔබගේ ලියාපදිංචිය සම්පුර්ණ වෙයි. 6)Online Registration සඳහා අපගේ වෙබ් අඩවිය භාවිතා කරන්න. ඒ සඳහාද ඔබ ඉහත සඳහන් පියවර කිහිපය පිලිවෙලින් අනුගමනය කළ යුතුය. පරිගණකය ලබා දෙන උපදෙස් අනුව ක්‍රියා කරන්න. Online Registration සම්පුර්ණ කිරීම සඳහා ඔබ විසින් කළ යුත්තේ ඔබගේ ජංගම දුරකථනය මගින් අදාල Photos (images) කිහිපයක් Upload කිරීම පමණි! 3-Fill it using clear hand writings. 4-Get a photo (image) of dully filled form.